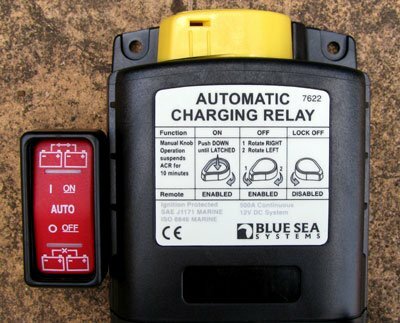 In order to power my fridge and other accessories while travelling, I installed a dual battery system in my Defender using a Blue Sea Systems ML-ACR Blue Sea Systems Automatic Charging Relay. This system is rated to 500 amps continuous. 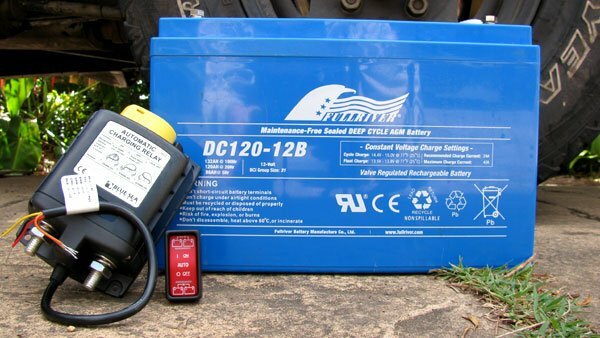 This is ample when combining batteries to jump start the vehicle from the secondary battery should the primary go flat. This unit also comes with a dash mounted switch allowing easy connection or disconnect of the 2 batteries. Technical specifications here. 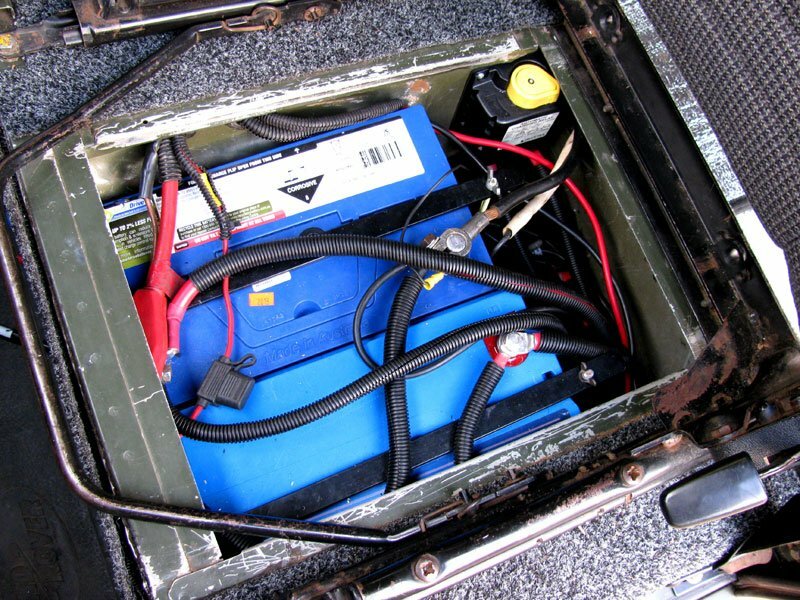 I used a Full River 120a/h AGM deep cycle battery as my secondary, which is probably the largest size you could fit in a Defender battery box. I manufactured a dual battery tray for my Land Rover out of 3mm plate steel and 25mm RHS with two mounting tabs underneath. 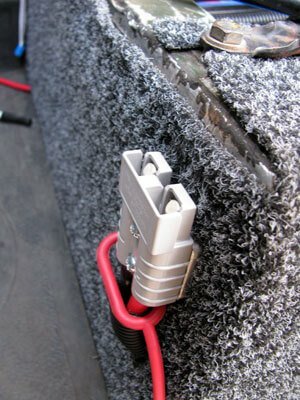 I completed the installation with an Anderson plug which will allow me to connect accessories such as my Inverter without having to remove the seat and battery cover. The completed installation. A snug fit. Brett is a film maker, hiker, adventurer and Defender owner. 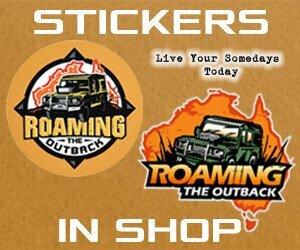 He loves the outdoors and feels most at home travelling remote outback places in Australia. The idea of waiting till retirement to begin exploring Australia is not the path Brett has chosen, instead choosing to live life now. Join him on his adventures. hi brett love your build mate have watched many a videos. your dual battery set up is the one in particular im interested in now. I have a 110 300tdi with a dual battery system under passenger seat aux battery only runs a fridge and a few usb sockets (eventually will run some lights) but the aus battery is only 82amp hour. I originally got told that that was the largest size battery I oould. I now know that isn’t true. the batteries are connected and have a redarc isolator so im not worried about it sucking from the main battery.. im just after the size of your battery trays and fixings so I could try replicate your idea as I love it. I want to be able to get at least 2 days out of my fridge without starting the car and a 120 amp hour battery would do that. later on down the track will get solar panel to feed the spare but that’s much later on as I don’t need them now. so yeah I was wondering if you could send me some more information on the size of the plates and fixings and whatever else I need to get it happening. ill have to rearrange a bit under there but that’s ok. only have an Anderson on the side of the set box for my compressor. but any info would be greatly appreciated. Thanks Jack. I don’t have any of the measurements other than what’s on the blog post. I’d recommend doing what I did and get a sheet of thick cardboard and cut it down to nearly the same width and length of the battery box. Then try and manouvere it in. Keep trimming it down till it goes in under the seat box and you’ll have about the right size. Mine was a tight fit to get in from memory. Everything else just make it up as you go from what scrap you’ve got lying around. Weld on some tabs underneath to bolt to the body. As long as the majority of the battery is supported underneath it should be good to go. All the best with the build!